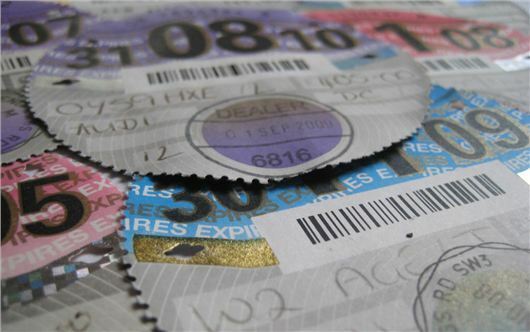 The 2017 road tax rules are just weeks away. From 1 April 2017, all new cars will be taxed against three new VED bands - zero, standard and premium - with taxation calculated on a combination of emissions and the list price of the vehicle. The Budget 2017 could bring further changes for cars and vans, with revisions expected to bring the existing VED pricing for cars and vans inline with the RPI inflation rate. However, we'll have to wait until the Philip Hammond's first ever Budget on 8 March to find out more. For those of you who are not up to speed with the 2017 VED changes, here’s a summary of what will happen from 1 April. The 2017 VED rules - which only affect new cars bought after 1 April - will add more than £500 to the long-term running costs of Britain’s most-popular and eco-friendly vehicles, while providing significant benefits for some of the most-polluting cars. This means that only cars that emit zero CO2 and cost less than £40,000 to buy new will qualify for zero VED. The majority of petrol and diesel cars will pay a standard rate of £140 a year, while hybrids will pay slightly less, £130 per year. The new rules will only affect new car buyers. The current VED bands - which are taxed against CO2 emission levels - will remain in place for all cars registered before the 1 April 2017. This means cars that emit up to 100g/km of CO2 (band A) will continue to pay zero VED. The rates for other bands (B - M) will most likely rise with inflation. They're surprisingly simple. 'Zero' emission cars pay nothing, 'Standard' cars pay £140 after the first year and anything that costs more than £40,000 to buy will pay an additional premium of £310 on top, for a total of £450, after the first year. There are also new first year rates, spanning from £10 to £2000, depending on how much CO2 the car produces. VED for commercial vehicles remains unchanged, for now. What if you buy a car brand new from a broker, and it comes under the 40k limit (even though list price would be over) do you still pay the extra tax? Yes, the 40k threshold is based on the list price of a vehicle and any manufacturer fitted extras, not the invoice price.